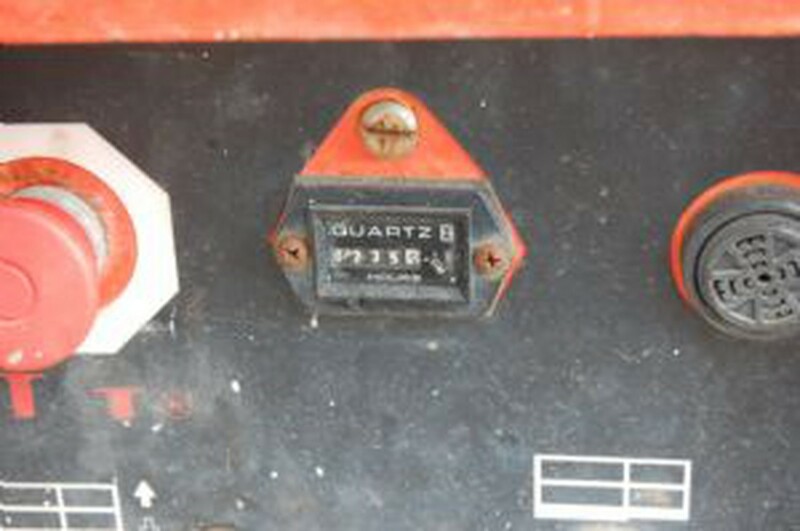 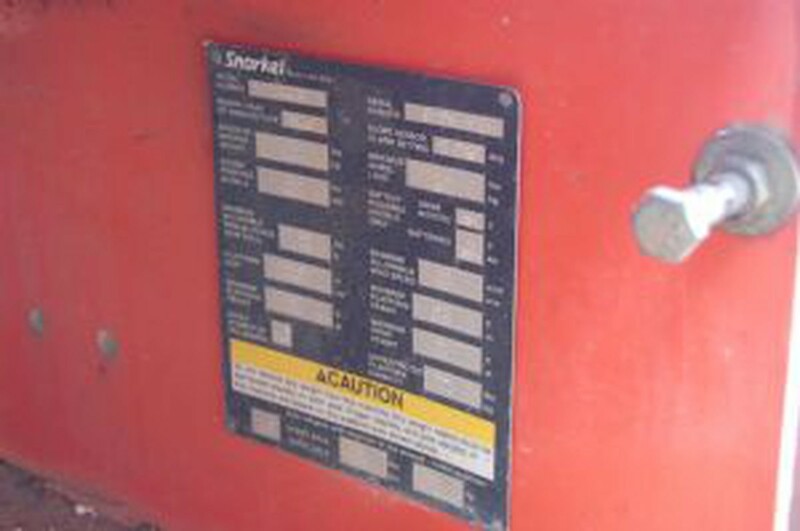 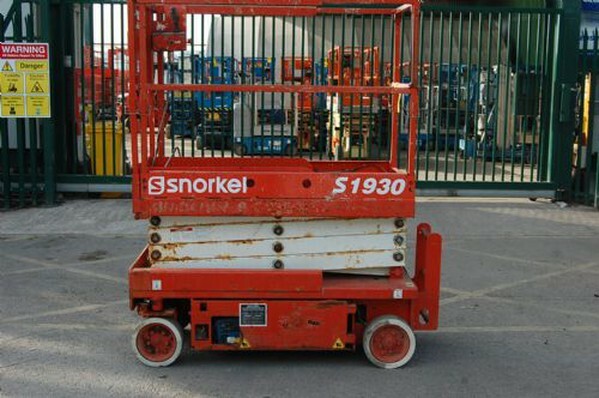 This 2004 Snorkel 1930 is a firm favourite for many applications. Ideal for jobs in confined areas being just 760mm wide, it can be used inside or outside on solid flat ground. 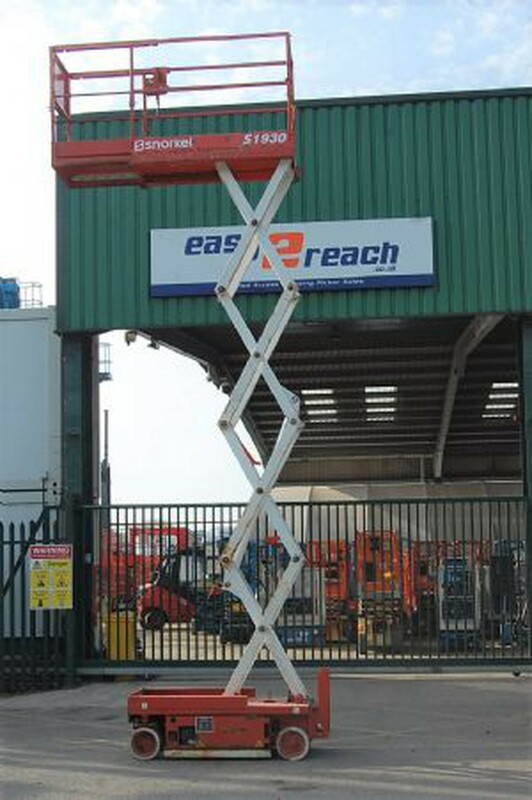 Features include an extending deck and a folding cage down to 1.9m to fit through a standard door way. Along with non marking tyres, pot-hole protection and full proportional controls for smooth operation this is an ideal machine. 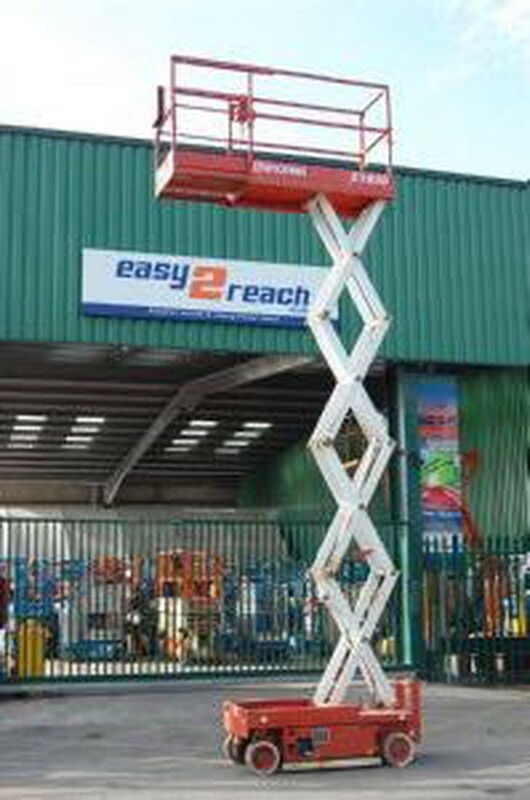 Outreach is 0.9m, working height is 7.6m. 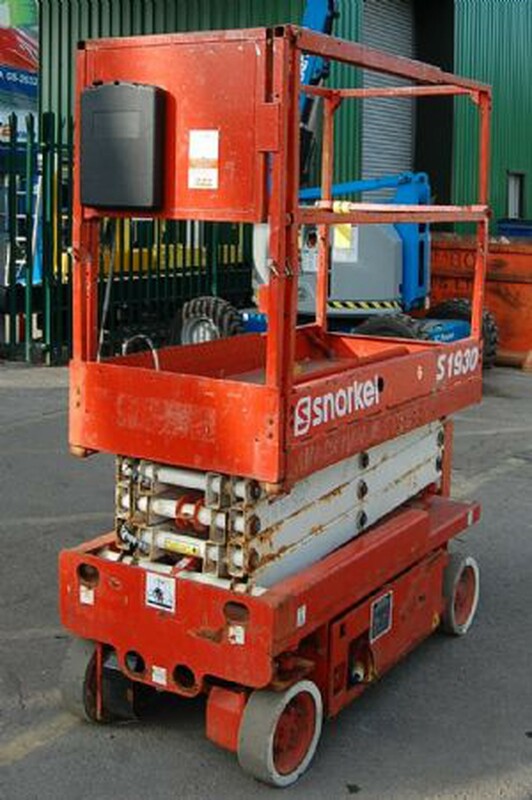 It is capable of carrying two persons and their tools up to a total of 227Kg, it will be LOLER tested before collection/delivery.